Purchase this product now and earn 225 Sheep for your Baa Baa Brighouse Shepherd Reward Scheme! 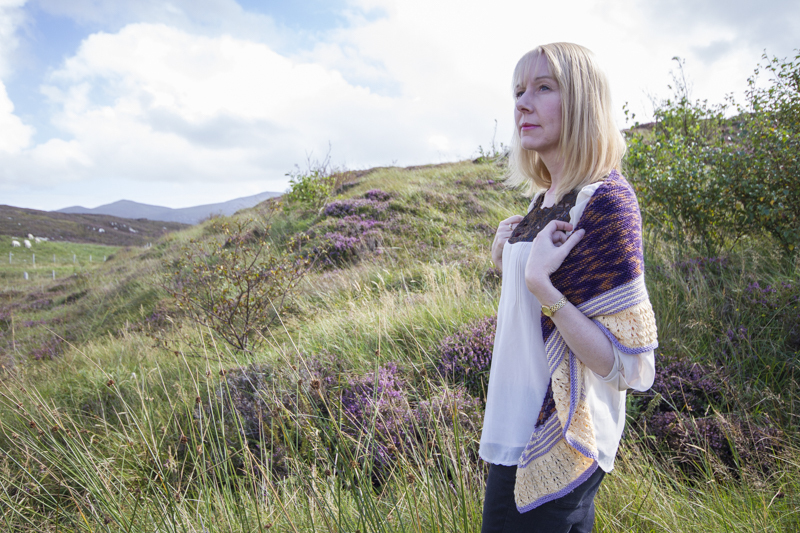 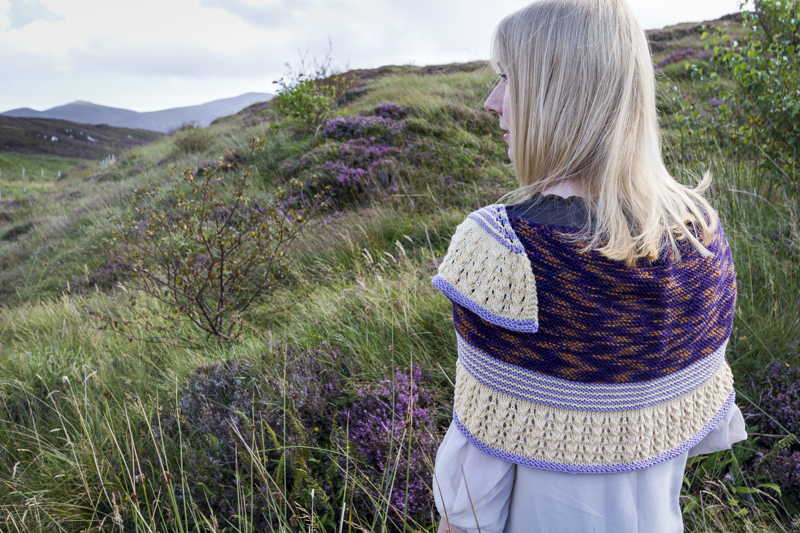 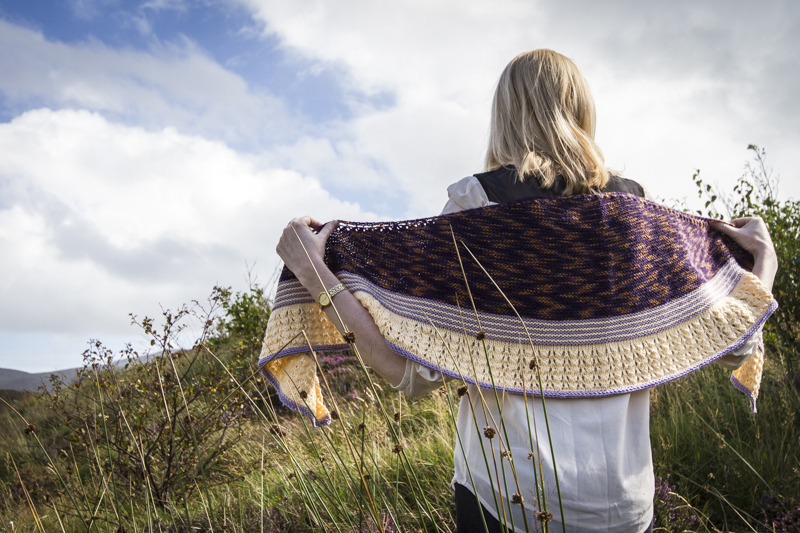 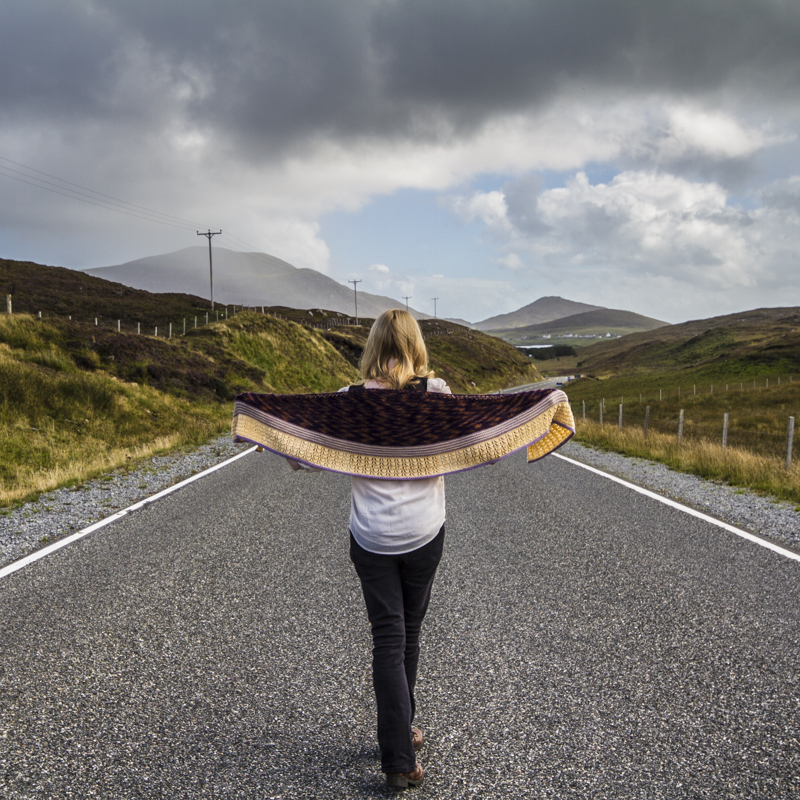 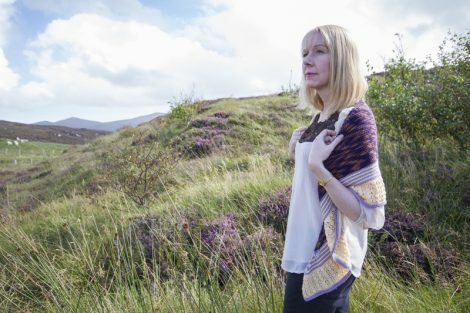 The Heather and Heath Shawl is a a Baa Baa Brighouse original design inspired by the landscape of the Harris and the Outer Hebrides. 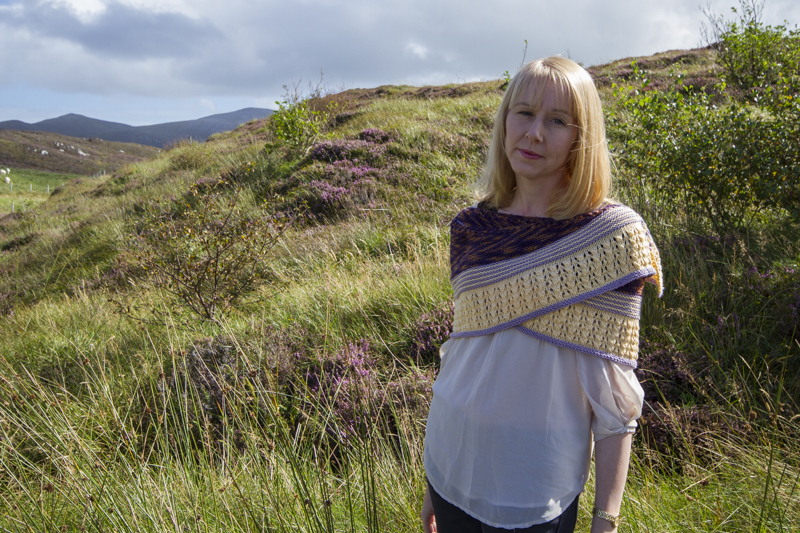 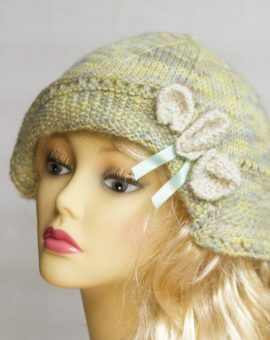 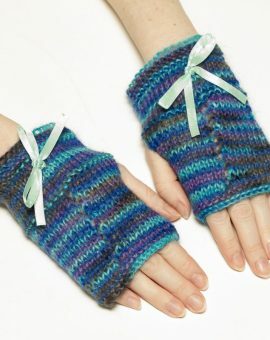 It is knitted in a combination of Yan Tan Tethera Yarn Club yarn called ‘First Crocuses’ from January 2015 and Rowan Super Fine Merino 4 Ply for the stripes and lace panel. 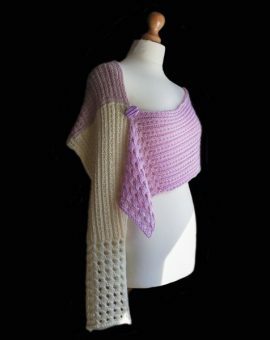 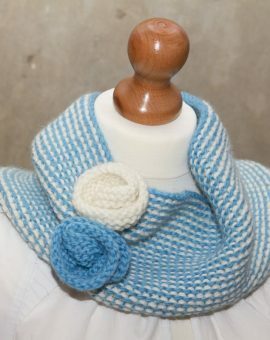 A luxurious, lengthy shawl which can be wrapped around the shoulders and heavy enough that it won’t slip out of place.